Although winter brings hazardous road conditions, did you know that it is actually the summer months that are the most dangerous to road users? We commonly apply caution during the winter months to cope with icy roads, damp conditions and fog but we often assume summer driving is much safer. Surprisingly, research has shown that more accidents occur in July and August than January and February. In fact, there are around 27% more accidents during summer than winter. With this frightening statistic in mind, how do you ensure that you stay safe during summer driving season? 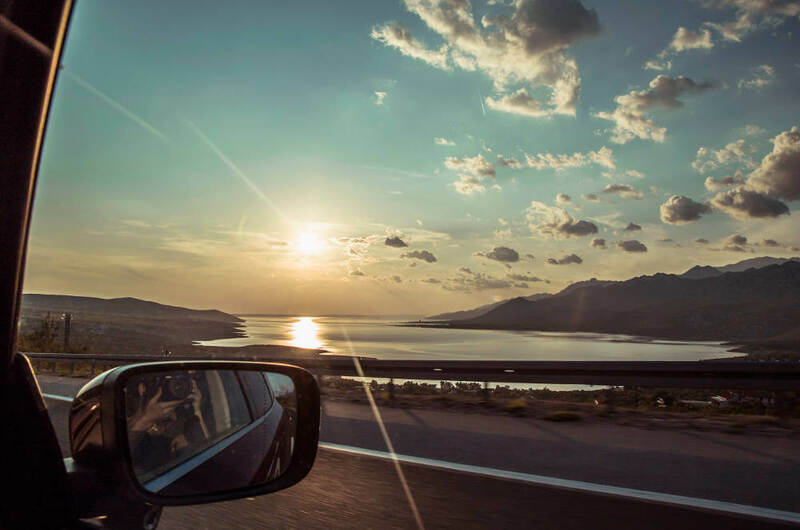 Read on for our top tips to keep you safe when driving in the summer. Unfortunately, summer accidents usually occur as a result of bad driving and that there are more people on the roads for holidays and that schools have broken up for summer. Being considerate and aware of other road users is important. Be particularly vigilant for bicycles and motorbikes, leaving plenty of room if overtaking and sufficient braking distance in front of you. Many road users in summer are distracted. Distractions are often children in the car, excess luggage or trying to find their destination on a map. Make sure your passengers know the dangers of the road and that they shouldn’t distract you. If you are lost or need guidance on a route then pull over when it is safe to do so. Be mindful that other drivers will be in a similar situation to you. Hayfever and allergies can be extremely hazardous on the road, by sneezing while driving on the motorway, you can lose your vision for up to 100 metres. Sneezing can cause accidents in itself but also distract you from hazardous conditions on the road. It is important you stay focused and fit to drive, closing windows can significantly help to ease symptoms. Remember, if you use medication for your allergies, that you use non-drowsy variations when you are driving. Warm weather and long drives can cause you to feel lethargic and sleepy. Make sure you stay awake and alert by sipping water regularly to keep you alert. Dehydration causes headaches and tiredness so ensure you have a bottle of cold water in the car to cool you down and keep your refreshed. Also, take regular breaks to stretch and give yourself a rest from driving. Long drives put your eyes under a great deal of pressure with extended periods of focus. Coupled with the glare from bright sunlight means that your eyes will be tired. Make sure to use your visor to avoid sun glare and keep sunglasses to hand. It is also a good idea to check that your windscreen is clean and that your car has plenty of screen wash to keep your vision clear. If you are about to embark on your first long road trip or perhaps want more experience in staying safe on motorways then why not consider a Pass Plus course or motorway driving lessons to practice driving in different conditions to give your driving confidence a boost. Get in touch with Lanes School of Driving on 020 8166 5678 to find out more.